I was so excited to receive a chance to write one of the Samsung posts on BlogHer. Even better, when the specific topics came out, I discovered it was about kitchen organization (and thankfully, *not* home office organization, no one wants my advice on how to keep their study neat and organized, mine has Christmas decorations in it, from Christmas 2009). Several of the questions I get frequently on "What's for Lunch at Our House" is what does your bento cabinet look like, how do you organize your bento supplies, and do you really have an entire cabinet of them. I've posted pictures before and this is one of the most recent versions of my bento cupboard. All the containers are stacked and the totes hold all the little supplies that I don't need rolling around loose in the cabinets. The lesson from this (and the one I should probably apply to my office)? Organization is a very good thing. Other than the fact that I own a scary amount of bento supplies, I seriously love how organized that cupboard is. I can tell you from the picture exactly what is in there and can find it in only a few seconds. I actually became so infatuated with that cabinet that I decided to rearrange the rest of the kitchen to match, including a serious purge of unused items and a much better system to find things. Thankfully, F&B are old enough to a) not play in the cabinets anymore and b) actually help with the organizing. We redid the entire reusable storage container cabinet and only kept sets that had multiple containers and lids. The cool clear containers on a lazy susan style rack with one set of blue lids that fit all the varying sizes? Those stayed. The random containers that involved having to try eight lids to find one that fits? Those left. We did the same with the pots & pans drawers as I bought lovely new red cookware when we moved into this house 5 years ago, yet still use the same old stuff that I've used for the last 15. I kept the pretty red cookware, let go of the mismatched sets. All my favorite mini appliances (the mini chopper I adore, my blender & mixer), those got moved to an easier to reach cupboard. The bread machine that has lived with us through 2 apartments and 2 houses, yet has only been used 5 times in total? That was rehomed to a friend. Amazingly, I don't actually miss any of the items we pared down. I'm partial to a number of select kitchen tools, so as long as those are around, I'm happy. The cabinets that hold the kids' games, puzzles and art supplies were cleaned and organized by the kids (yes, we have a really big kitchen, they have 4 lower cabinets for their things). It is amazing how many more things fit when you actually stick things by size versus shoving them in the cabinet however which way, just as long as the door closes. And now, I have beautifully organized kitchen, with easy access to all the important things I use daily, and plenty of space for new items that I swear I am not going to buy. Except for the really cool dehydrator--who doesn't love homemade dried fruits? 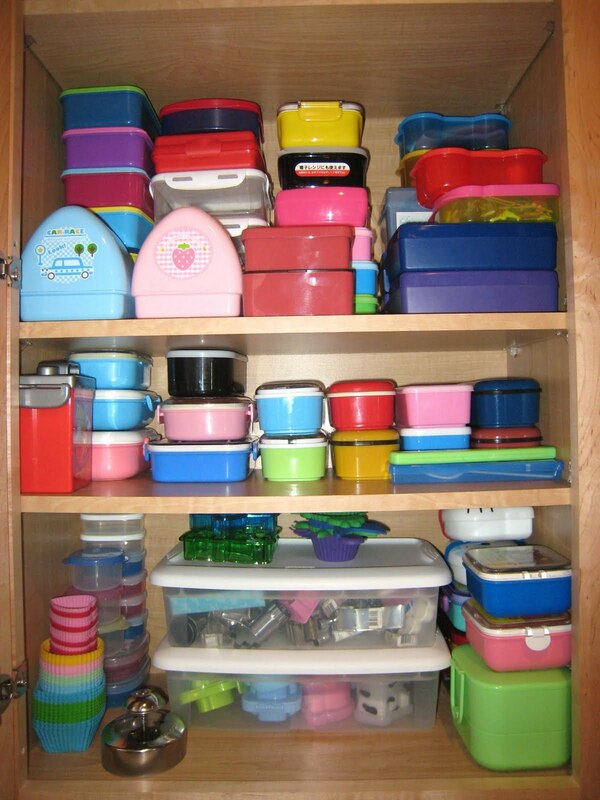 Leave a comment sharing one of your favorite kitchen organization ideas. Oh, this makes me long for a three day weekend so I can reorganize every.single.cupboard. I needa' work in my office. My good hubby-buddy takes care of everything else. (I am seriously thinkin' 'bout keepin' that ol' boy).